Soap made of potassium cocoate combined with safflower oil, essences, water. 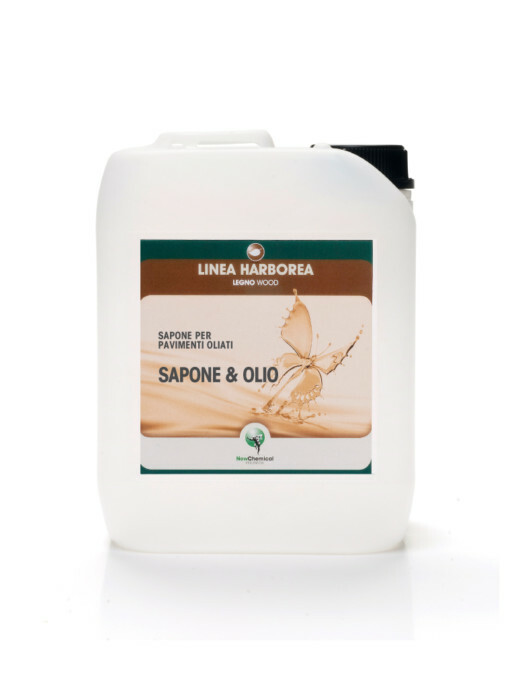 SAPONE & OLIO is a product based on natural soap and oil, which can be diluted in all proportions with water. 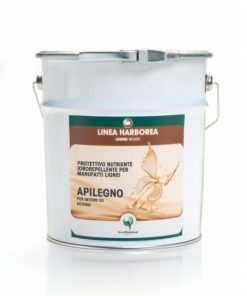 SAPONE & OLIO is a formulation to be used for cleaning and preserving oiled wooden floors, indoors and outdoors. Its main feature is that it cleanses surfaces while depositing a protective layer that increases resistance. Shake well before use. Pour half a glass (5-10%) of SAPONE & OLIO in a bucket of approximately 8/10 l of preferably lukewarm water. Wash the floor with a cotton cloth previously soaked in the solution and wrung out. It does not require rinsing. After 1 hour, the floor can be walked on. Always run some test applications before applying it to the definitive surfaces. • Suitable for floors with oil and wax finish. • Small amounts required, therefore cost effective. 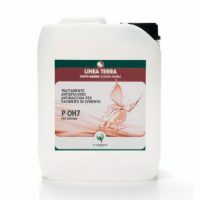 • It does not require rinsing if it is used in the recommended amounts. • Gives the room a pleasant fragrance and sense of cleanliness. DILUTION: 5-10% in water, does not require rinsing. YIELD: 10 l of solution diluted at 5-10% are enough to wash 100 sqm. STORAGE: Closed in the original packaging, in a cool place, away from frost and UV rays, it retains its properties for at least one year. H318 Causes serious eye damage. H412 Harmful to aquatic life with long lasting effects. P101 If medical advice is needed, have product container or label at hand. P102 Keep out of reach of children. P273 Avoid release to the environment. P280 Wear protective gloves / eye protection / face protection. P305+P351+P338 IF IN EYES: Rinse cautiously with water for several minutes. Remove contact lenses, if present and easy to do. Continue rinsing. P310 Immediately call a POISON CENTER / doctor / . . .
P501 Dispose of contents / container to . . .